Japanese brand Sanyo, today unveiled its first 4K Smart TV models – XT-49S8200U and XT-55S8200U. 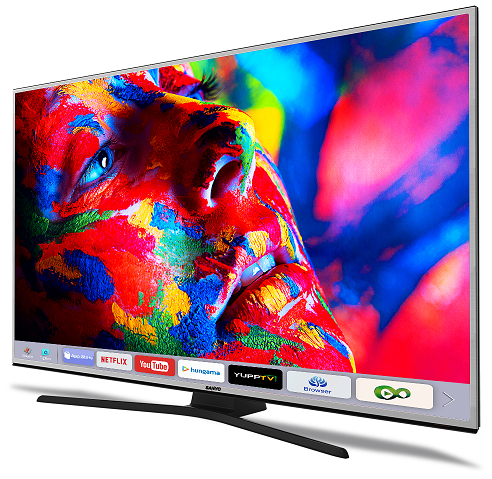 The XT-49S8200U has screen size of 49 inches and is priced Rs. 64,990 whereas the XT-55S8200U has screen size of 55 inches and comes with price tag of Rs. 76,990. These TV displays have resolution of 3840 X 2160 pixels and comes with HDR and MEMC technology for detailed and crisp pictures, with utmost clarity. These TVs are equipped with Dolby audio system and also boast 10W x 2 powerful box speakers to provide you with a clear and crisp listening experience. Sanyo’s Smart TVs provide an unrivalled user experience with supporting apps such as Netflix, YouTube, Hungama and YuppTV among others. With three HDMI and two USB ports, you can easily connect this Smart TV to the other devices as well. With built-in Wi-Fi, enjoy seamless home entertainment, allowing greater connectivity and access to and from the TV.